Jazz Times are a publication which was founded back in the year 1970. 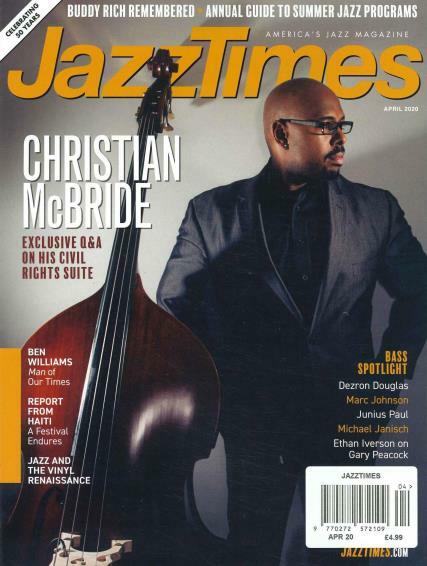 Buy a single copy or subscription to Jazz Times magazine. Originally it was not a magazine but a newsletter that was designed to keep the shoppers updated about the several releases that took place all year round, showcasing the several developments in this genre, Jazz. It also provided a scope for the radio programmers to stay updated with the latest developments in this industry. This has popularized over the decades and has emerged as a great journal which has potential consumers in the market. One can avail to this magazine either online or from certain book stores. There is more number of ways to procure this magazine. It attracts several readers and writers from different parts of the world to come and join the league of Jazz musicians. It helps spreading the message and also creates awareness about this genre of music. It provides a stage for all the Jazz lovers to come and enjoy the common interest. In 1980, the name of this journal was changed from Radio Free to Jazz Times- USA. This is when the magazine got its name and it reformed in a whole lot of other ways. The magazine went a complete makeover with new cover photo and a whole lot of other discoveries. There was an exclusive art graphic design that was provided to attract the readers. This journal basically focuses on the coverage of the latest happenings in the Jazz world.